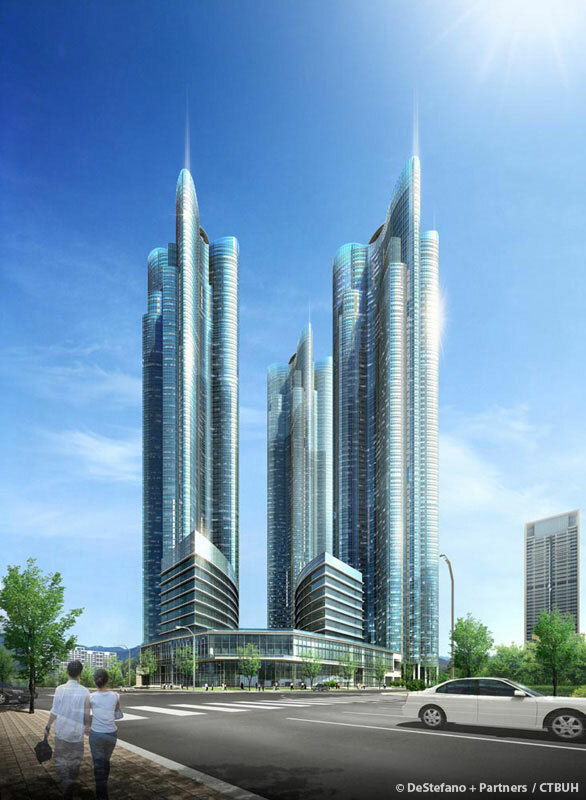 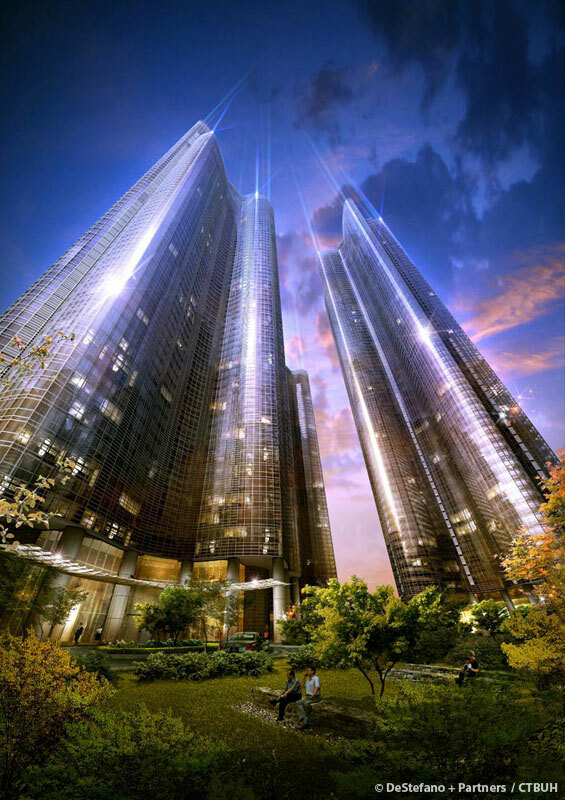 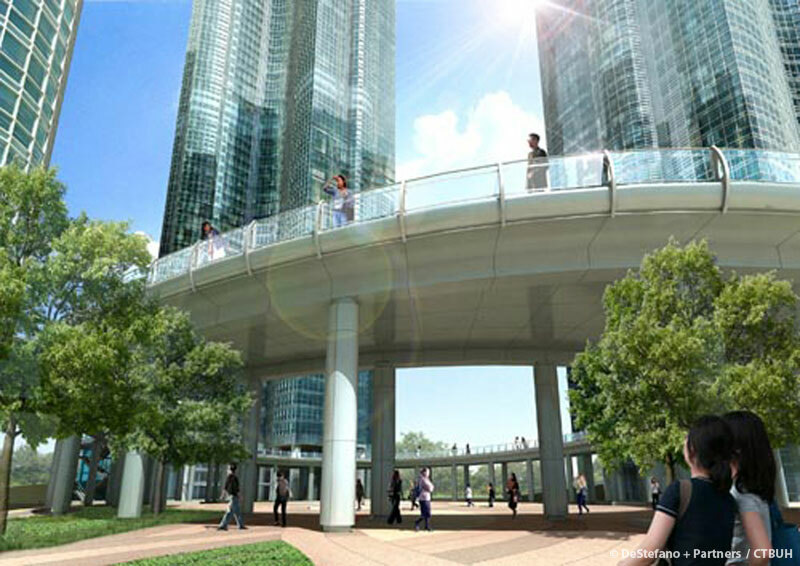 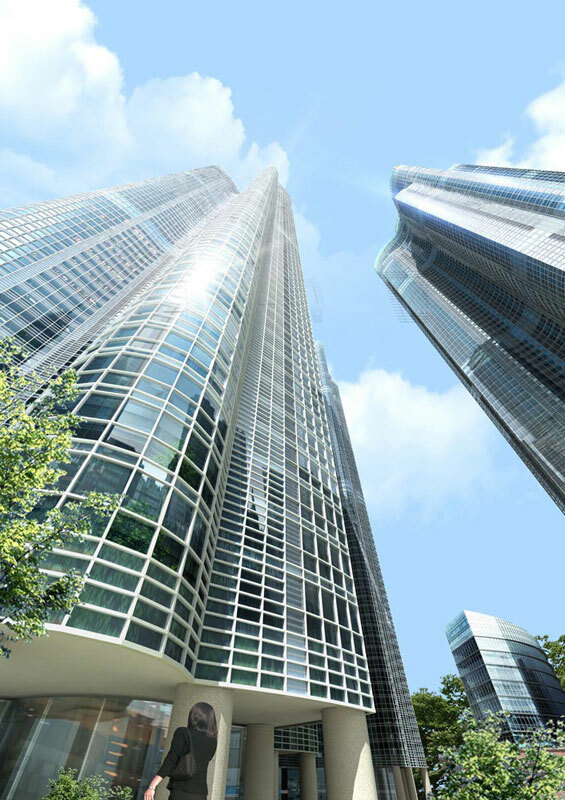 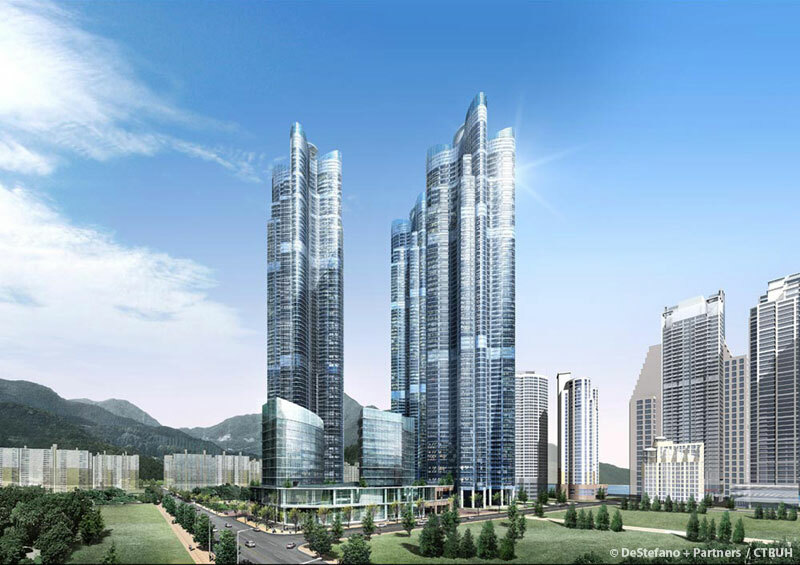 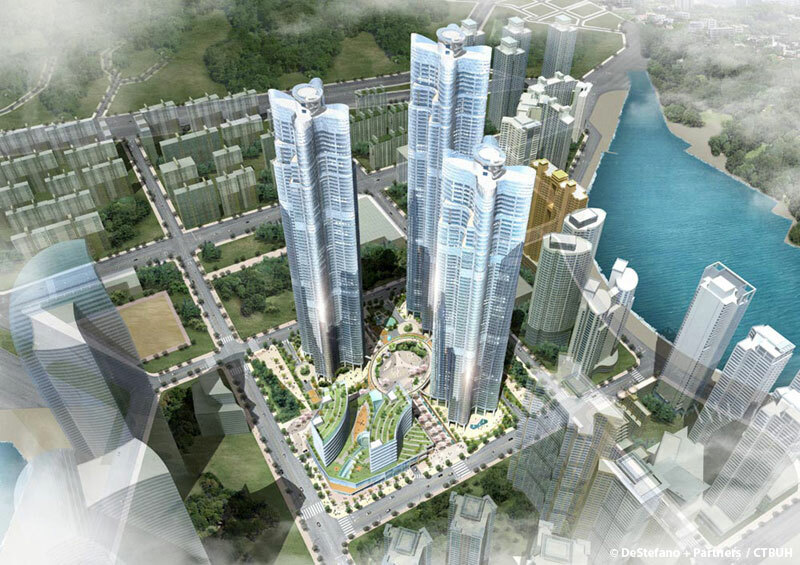 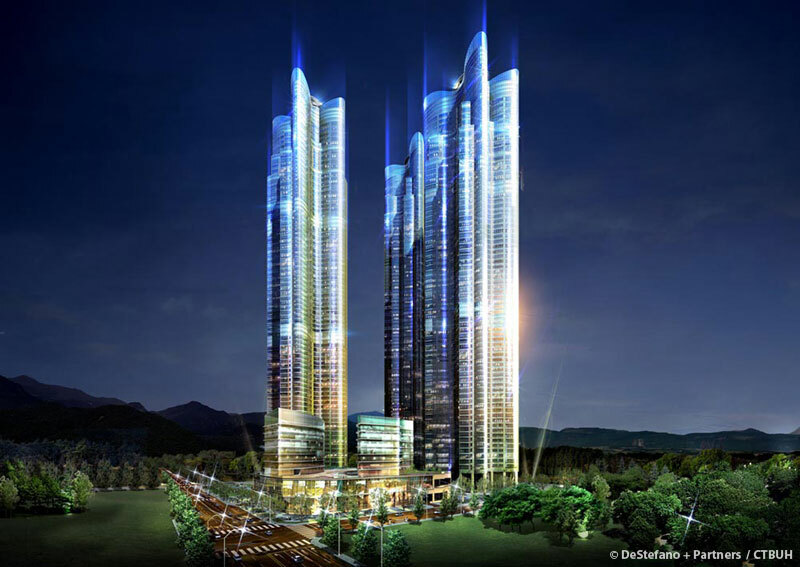 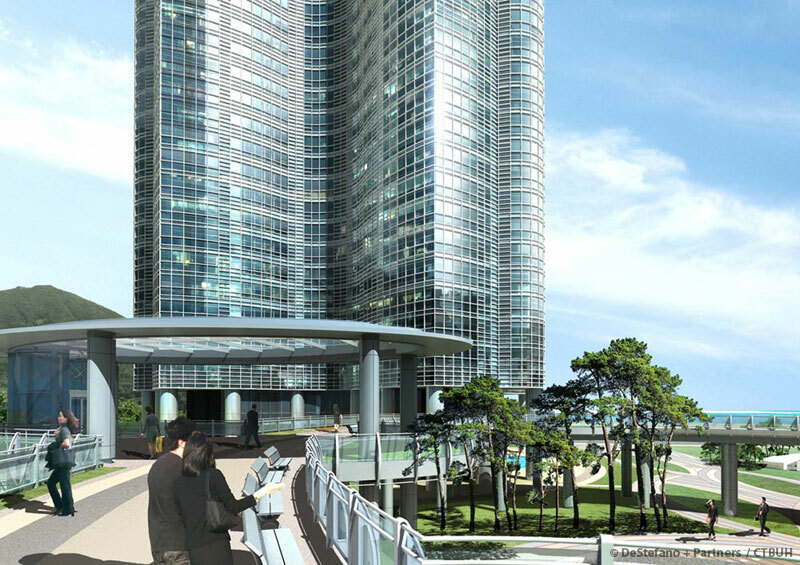 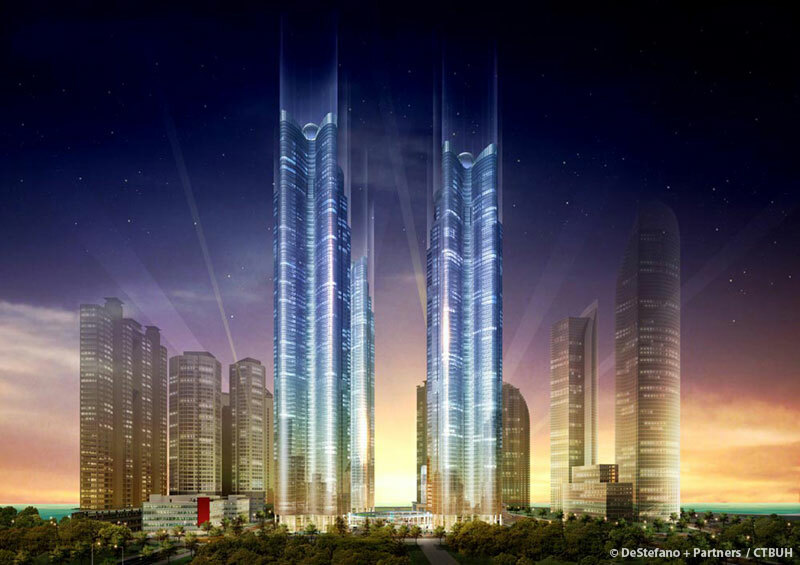 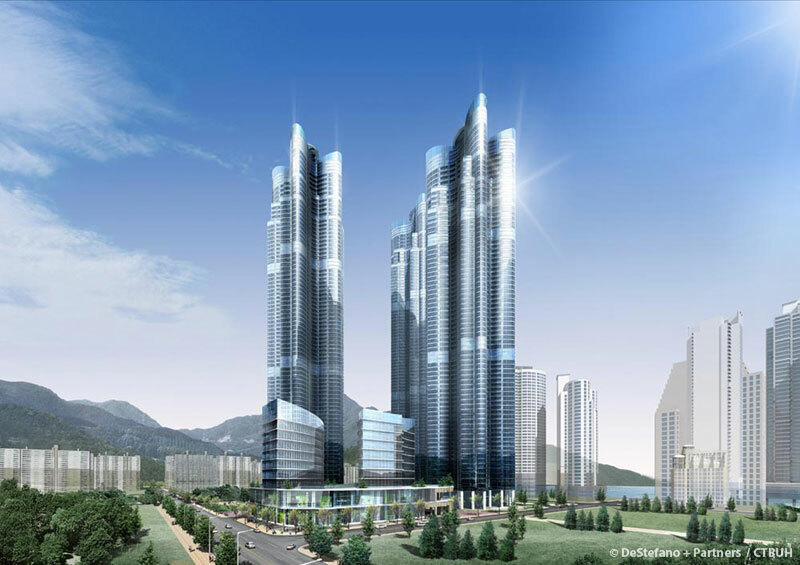 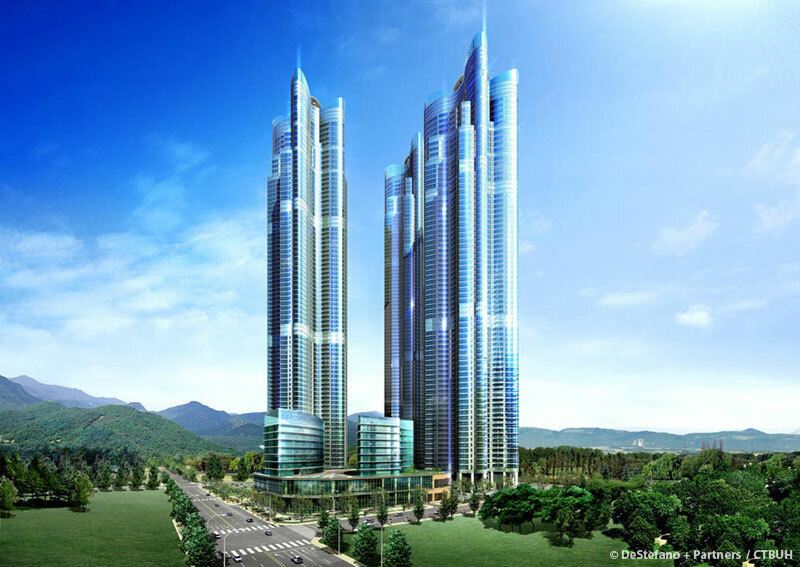 As Korea’s tallest completed all-residential towers, the three towers of the Zenith complex stand as an icon in Busan. 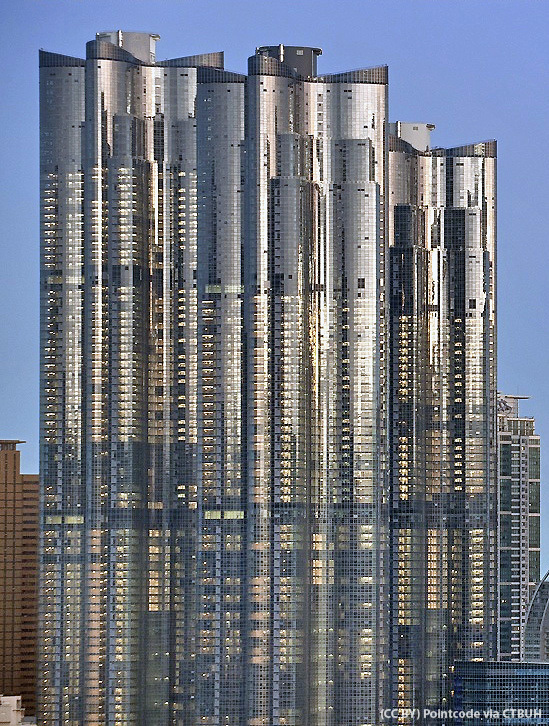 In contrast to the surrounding buildings, they display curving and organic façades which create the cruciform-shaped plans. 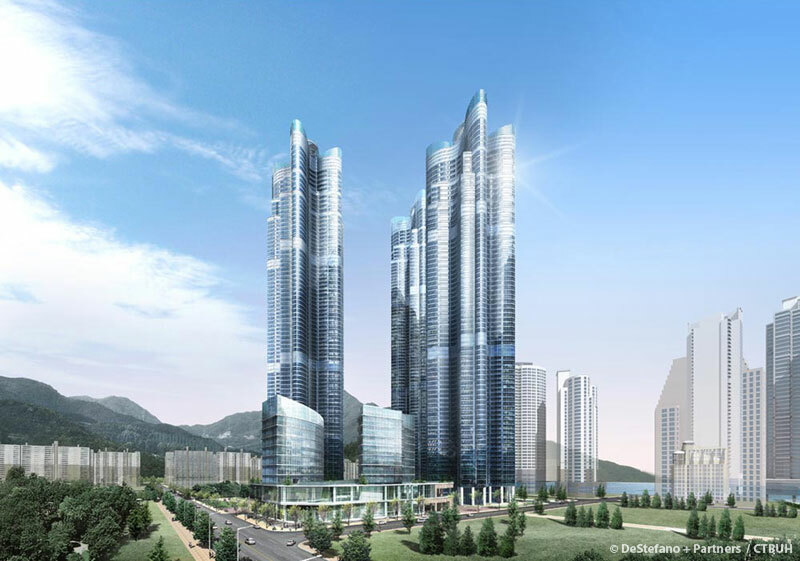 The design concept behind these towers was directly related to the geography of the site, which is surrounded on three sides by the sea. 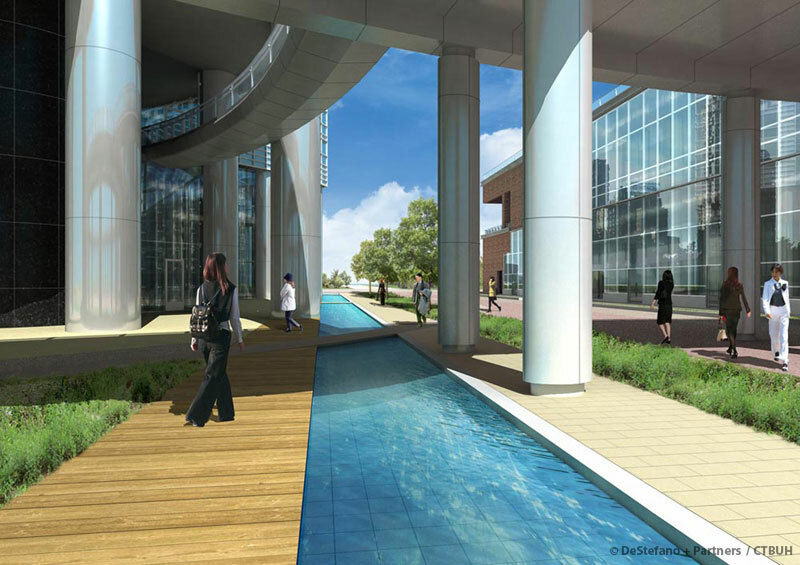 The curvilinear forms were also designed and sited to take advantage of views and daylighting, as well as to minimize the effects of wind forces. 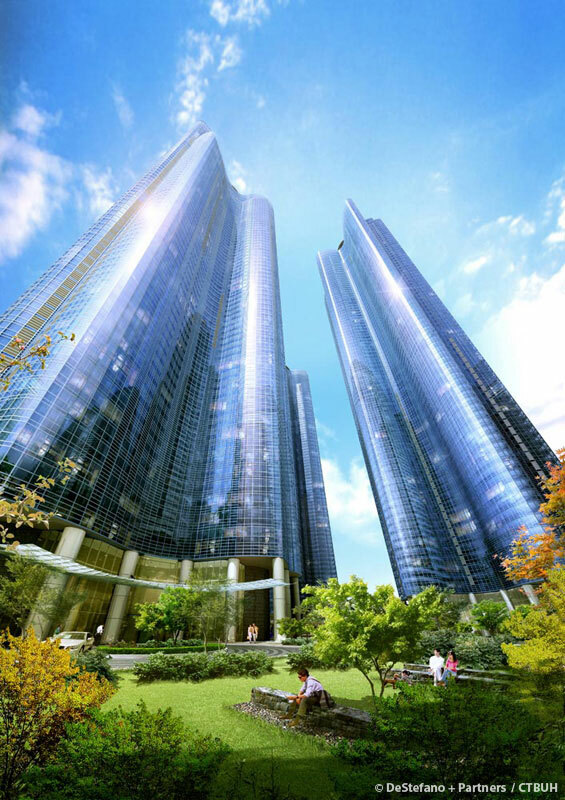 At their base, each of the towers has a lobby which opens up to a lushly planted plaza that connects the complex and creates a unique space for outdoor activities. 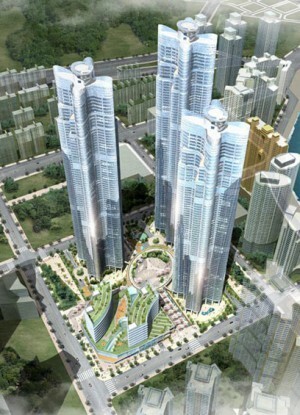 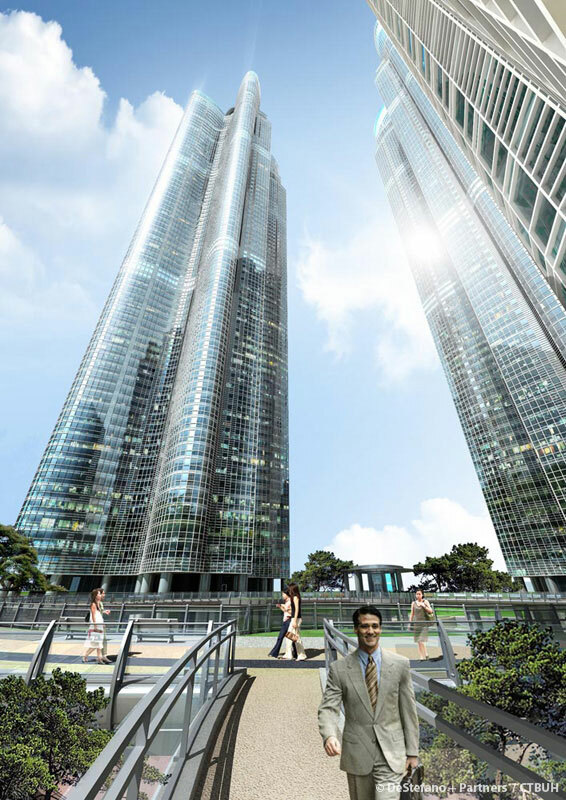 Emerging technologies in concrete construction were utilized in the design of the towers. 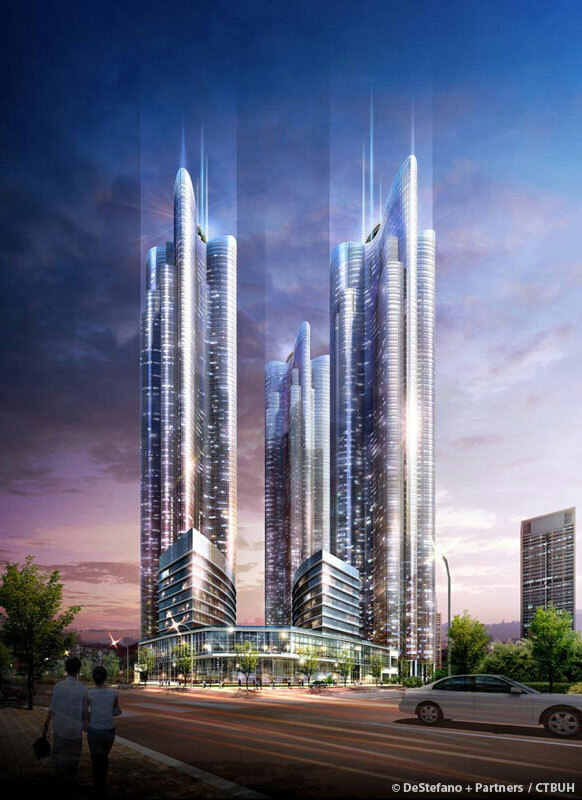 The foundation mat thickness was reduced by as much as 700 mm through the use of strut-ties, and a structural health monitoring system was installed to carefully monitor the conditions of the building and ensure the safety of its residents.